Have you been seduced by the "one eyed monster"? As many of our clients already know, and readers of this blog may have guessed (! ), we’re not great fans of mainstream media. And by mainstream media we mean television, cinema and papers. There are many reasons for this, not least the huge amount of time that can be “lost” to them every day. However our primary concern is the very misleading and negative picture they often portray of this world of ours and the part we each play in it. While we could talk about mainstream media in general, today we’d like to focus on the “one eyed monster” in the corner of the living room. And now in many other rooms as well. Not to mention on all your favourite electronic gizmos. Phone. Desk top. Lap top. I pad. Tablet. Why are we so seduced by the TV? And how has our love affair with it turned into such an addiction? For the answer to these questions we need to go back to the late 1960’s – 1969 to be exact – and a series of experiments carried out by a man called Herbert Krugman. What he found was that a person’s brainwaves switched from beta waves to alpha waves in less than a minute of starting to watch television. When the person then picked up a magazine, and focussed on that, their brainwaves very quickly reverted back to beta waves. Beta waves are those associated with a normal waking state and allow active, logical thought. By contrast alpha waves are experienced in deep relaxation or when we’re daydreaming. Now here’s the important bit. Alpha waves make a person highly suggestible, allowing so called “passive learning”. In other words whatever information is presented to the person in this state is treated as true, with critical thinking skills left behind. 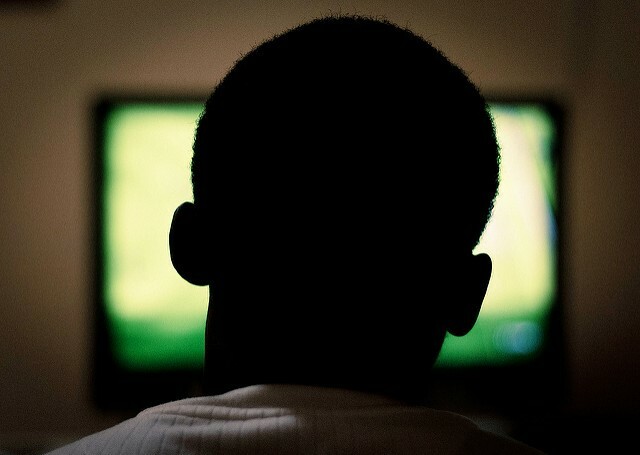 While the impact of TV will vary from person to person, it’s been repeatedly shown that watching TV triggers the change from beta to alpha brain waves very quickly. It’s thought that the radiant light from the TV screen – and from other screens too – triggers the change in brain waves and the alpha state. By contrast reading a paper book or writing keeps a person in the higher beta brain wave state. Advertisers have known about this for decades and use it to take advantage of the passive, suggestible brain state of the TV viewer. With the brain already being in a receptive state, all advertisers need to do is flash their particular brand across the screen and then link it to something positive. While there has been some controversy over the years about product placement – particularly about adverts aimed at children during children’s programmes – most TV advertising has continued unaffected. By contrast, subliminal messaging has been repeatedly vilified, although its effects on TV viewers are very similar. And it’s not just advertisers who are aware of the effects of TV on viewers. The Tavistock Institute has been monitoring the effects of TV on viewers since the 1940’s, finding that people are no longer so logical, with the majority of their opinions and ideas coming directly from TV. Images repeatedly shown on TV are accepted as “true” and “the norm” without any critical review being involved in the process. And when you look at the TV schedules, with its preponderance of violent – and negative programmes – the implications of this become truly worrying. At the same time it’s been found that the content of many programmes triggers the release of stress hormones – such as adrenaline – placing the body on red alert for a crisis that will never happen. While we tell ourselves that it’s just a television show, our bodies are preparing for a different scenario. Whether this repeated release of stress hormones is playing a part in rising numbers of adrenal burnout and chronic fatigue it’s hard to know, but it’s not unreasonable to think that it may be playing a part. Taking this all together isn’t it about time to take a step back and ask yourself what effect your favourite television programmes are having on you? Not to mention your family too? Well, as usual, the answer is quite simple. Switch it off! And if you’re not ready to turn off the “one eyed monster” for good, be VERY selective about the programmes you watch. This is particularly the case for children whose brains are much more suggestible to messages portrayed on television. Rather than simply collapsing in front of the television and watching whatever is on – or channel hoping in the hope you’ll find something (!) – turn it on for a specific programme and then switch it off. Choose programmes that make you feel good or factual documentaries. Avoid the rest. And, finally, be sure to check any “facts” gleaned from a television programme for yourself. Do a little research, don’t blindly accept whatever is presented to you. Remember any television programme is only someone else’s opinion, it isn’t automatically true. And what about better alternatives? How about reading an old fashioned book or magazine? You know, ones printed on paper (!). Or keeping your brain focussed on an all absorbing hobby or interest? Spend time with real people. Go for a walk. Meditate. There are so many other things you could be doing, all of which will keep you wide awake with your brain in a healthy beta state.